We arrived at Klamath River RV and settled in. Once again we encountered Hughes Communication for internet and it would not talk to the Apple laptop, but the IPAD was fine. We were right on the Klamath River and the manager suggested we drive down to the mouth of the river and watch the salmon fishing scene going on there. It was a short drive but we had to find a parking space pretty far down the road because the place was packed with cars. 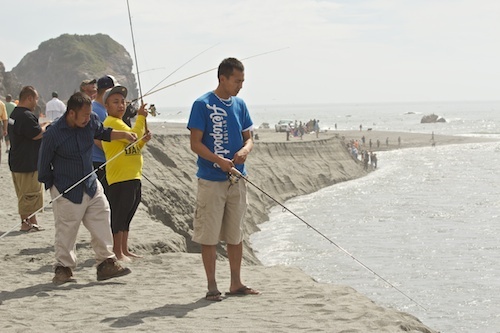 We chatted with a women heading to the river to fish and she showed us the way: up a trail, over some rocks, through the woods and finally ending up at a beach where the river cut through to the ocean. 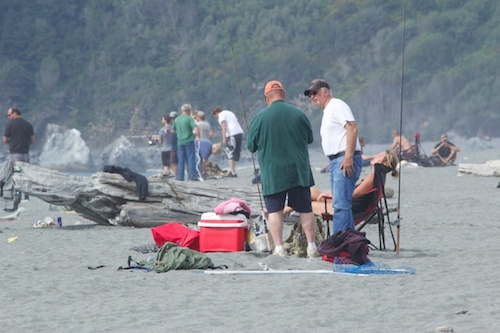 Both sides of the river were packed with anglers looking for that big Chinook. We were on the side of the river that had a long drop off to the river. You had to cast off the cliff. The river current was very strong, so your line was dragged down river, mixing and tangling with the other lines. If you snagged a fish you yelled out and the others would try and get their lines away so you might have a shot at landing it. Most of the time the fish broke off, or your line was cut by someone else’s. 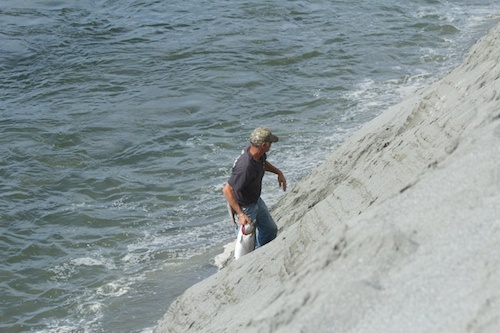 If you did land the fish you had to slide down the sand cliff and drag your fish to shore and back up the cliff. We hadn’t brought any tackle, so we just spent the afternoon watching the show. 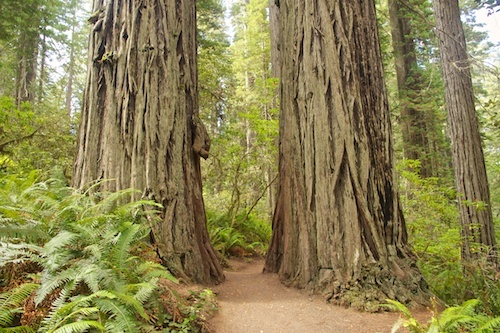 The next day was spent driving and walking among the redwoods, mostly in Prairie Creek State park. 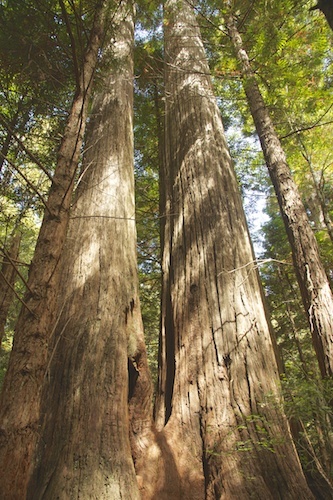 The coastal redwoods are the tallest, most massive tree species on the planter (I think the tallest was 379 feet) The state and national parks preserve about 133,000 acres of these beauties. 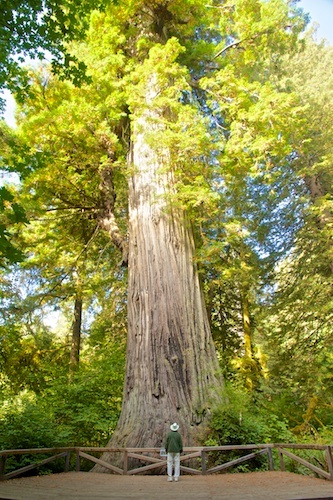 In 1850 old growth redwoods covered about 2,000,000 acres and had existed in the area for 20 million years; Then along came man…conservation was started in the 1920’s, but by the time the National Park was established in 1968, 90% of the original old growth trees had been logged. We hope to see their bigger, wider cousins, the giant sequoia when we get to Yosemite. grow faster on blue grow lights. They only use a portion of the red and small portion of the blue.